Pixel Whisk: May the Odds Be Ever in Your Flavor! This week brings one very exciting movie release and the start of many Sunday evenings glued to the TV. First and foremost was Friday's release of The Hunger Games! Yes, I saw it and I loved it. Although I'm not proud of it, I also may have elbowed a few tweens for the perfect viewing seat. I was, however, proud of myself for sneaking in several bags of delicious flavored popcorn! Movie theatre fare is mediocre at best and overly expensive. I decided to BYOP (that's bring your own popcorn, not Pinot). 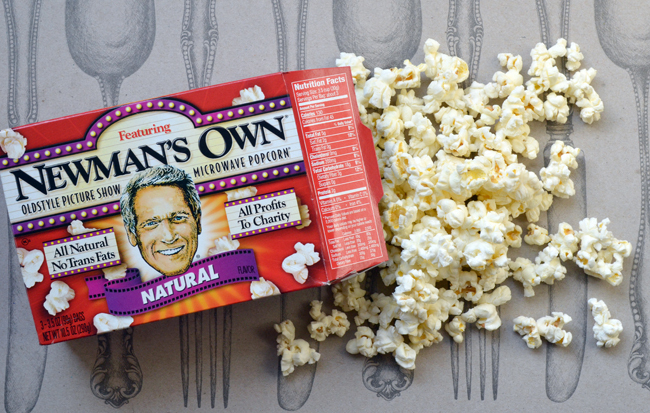 Popcorn is the obvious choice for movie watching, and I certainly didn't go hungry at The Hunger Games, but it will also come in handy for tomorrow's long-awaited return of Mad Men and next week's premiere of Game of Thrones. Whether it be herb butter, Old Bay Seasoning, caramel, coconut or truffle oil, there are dozens of ingredients that you can use to spice up an ordinary bag of popcorn. To be extra prepared, I made one batch of sweet and one batch of savory popcorn. 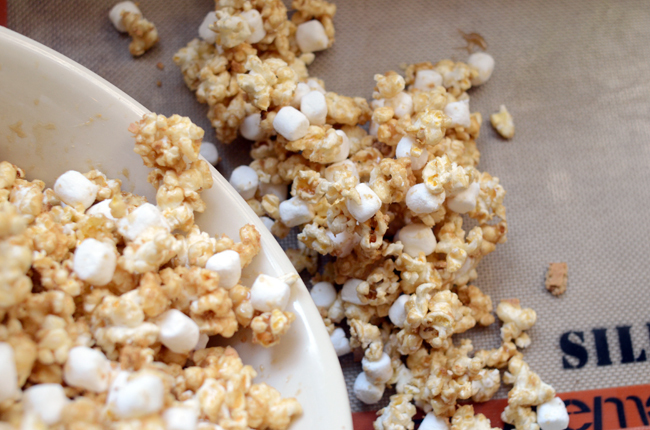 It came as no surprise to me when my husband requested a S'mores flavored Popcorn. I've mentioned his obsession with s'mores before but I knew things had gone too far when he proclaimed that, had he been in the Hunger Games, surviving on s'mores would be a priority. 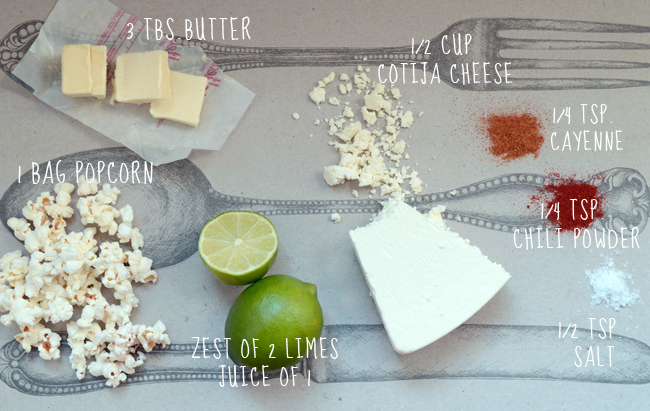 For the savory popcorn, I decided on a chili-lime combo. 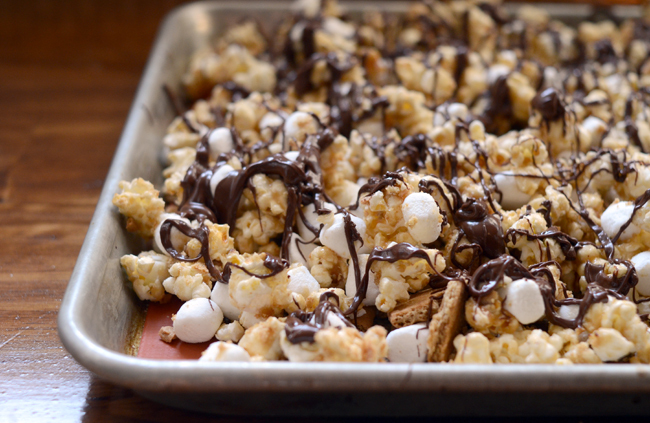 I really liked them both, but I seriously cannot stop eating the S'mores popcorn. I just hope this stash will make it to next Sunday. May the odds be ever in my favor! 2. 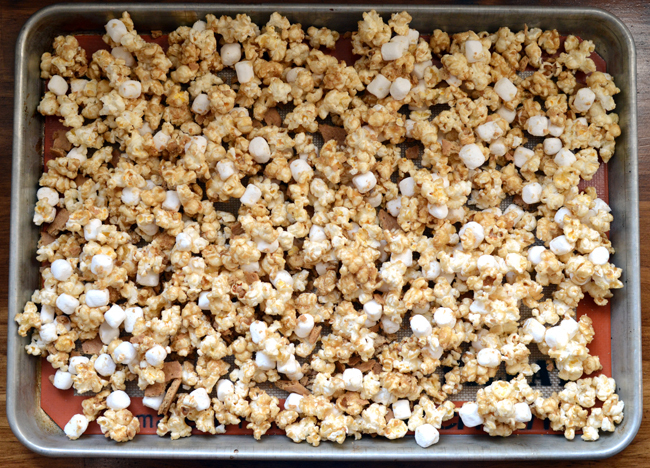 In a very large bowl combine the popcorn, marshmallows and graham crackers. 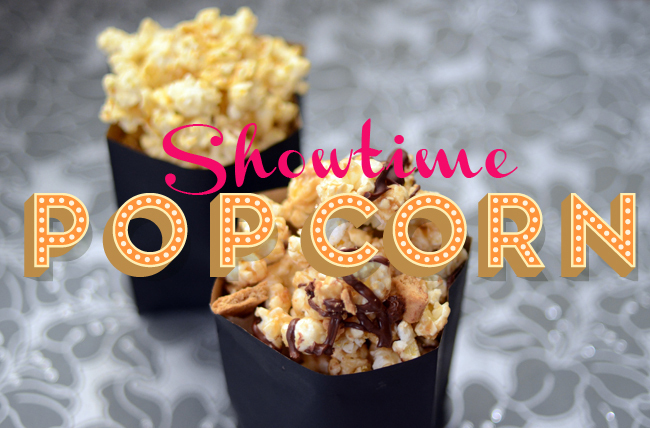 Drizzle the caramel over the popcorn, gently stirring with a large wooden spoon. 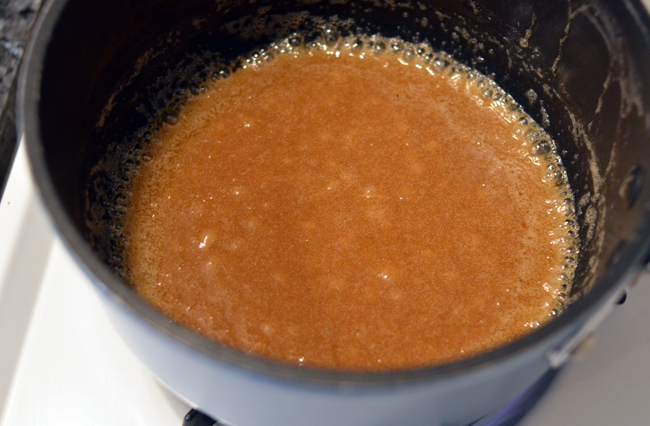 Continue to stir until the caramel evenly coats the popcorn mix. Spread mix out onto the baking sheet. 3. Microwave chocolate chips in a heat proof bowl in 30 second increments, stirring often until melted. 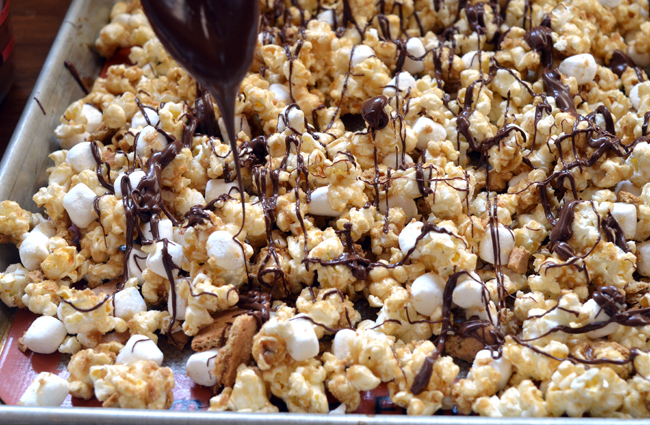 Use a spoon to drizzle chocolate over popcorn, then set aside until chocolate cools. Break pieces apart and enjoy! Store popcorn in an airtight container for about a week. Get the recipe card here. 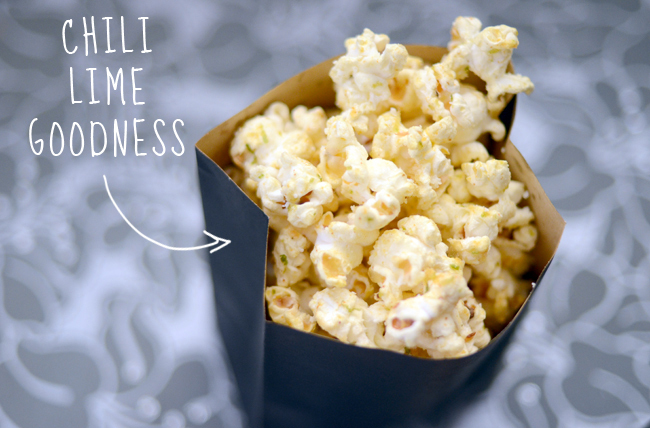 Pour popcorn into a large bowl and set aside. 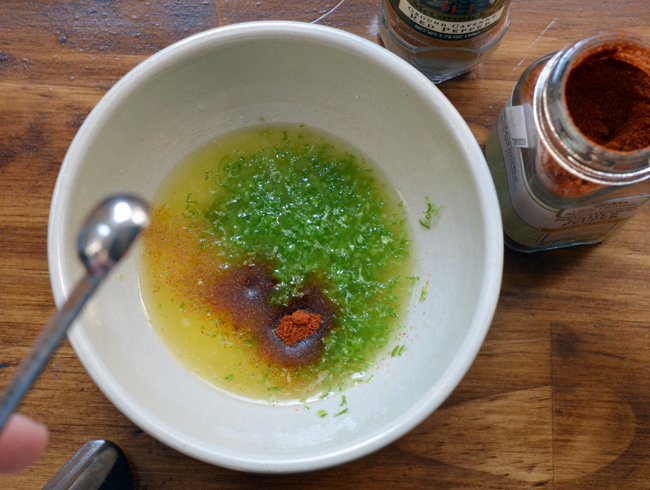 Melt butter, then add lime juice, zest, chili powder, cayenne powder and salt. 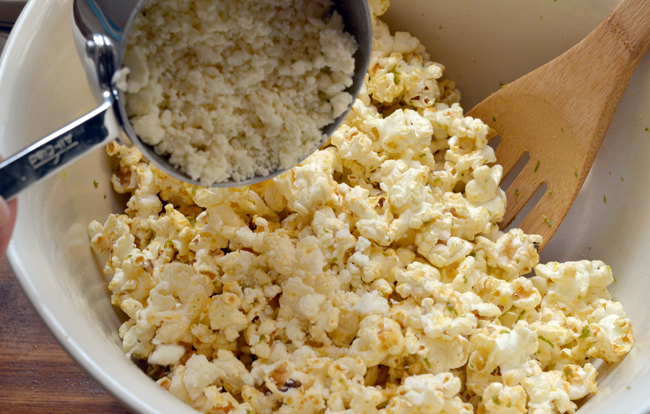 Slowly drizzle butter mixture into popcorn, mixing until thoroughly coated. Stir in cotija cheese. Serve immediately. 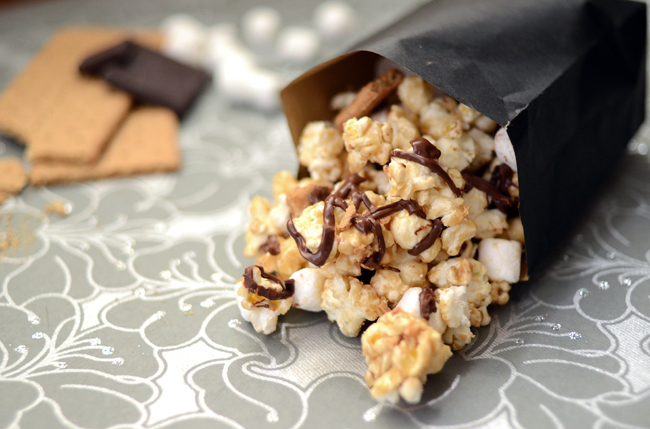 Ooh, can't wait to try out the s'mores popcorn! Omg its like a party in ur mouth and everyone is coming! !